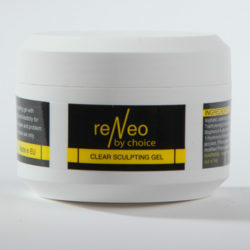 Clear sculpting jelly-gel of high viscosity. Incredibly holds the volume! Has extra durability and elasticity, can be used for nail building of the most complex shapes. The best solution for the problem nails! After polymerized Base Gel apply a thick layer by performing length extension, shape correction of the problem nails or strengthening the natural nails. Viscosity texture of the gel allows to work with five fingers at once, performing the most complex aquarial designs. When polymerized, remove a dispersion layer, file off, cover with Décor Gel, if needed and coat with Top Gel.